Safety Systems Technology FT series Test Lamps are specifically designed portable sources of ultraviolet or ultraviolet/infrared radiation for testing Safety Systems Technology UV and triple mode UV/IR flame detectors. The UV model emits a wide band of UV radiation which includes the region of 1850 to 2450 Angstrom, corresponding to the response of our ultraviolet flame detectors. The UV/IR model emits, in addition to the UV radiation, IR radiation which pulsates at a slow rate to simulate the “flicker” in a real file. The test lamp functions on internal batteries which, when fully charged, will allow operation for an extended period of time. The batteries may be either the standard disposable “flashlight battery” or rechargeable batteries. !WARNING: These test lamps are not intended for use in hazardous locations. Do not operate the test lamp or the battery charger in any location where combustible gases, vapor or dust is present. Before operating the test lamp, check that the unit has a set of standard Carbon Zinc or rechargeable “D” cell batteries installed with sufficient capacity to operate the test lamp. Verify operation by carefully observing the visible light from the UV/IR test lamp. For the UV only version, carefully check the UV lamp for a slight glow in a dark location. Do not look directly at the test lamps for any longer than necessary, since UV radiation will damage your eyes. 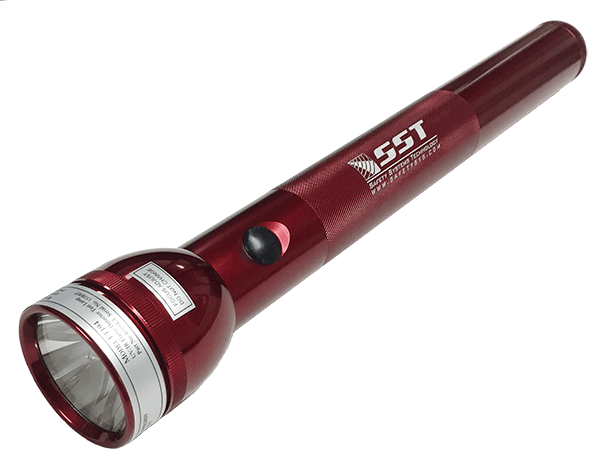 The FT193 test lamp is capable of activating the Safety Systems Technology UV optical flame detector at distances of up to 65 feet (20 meters) from the detector. 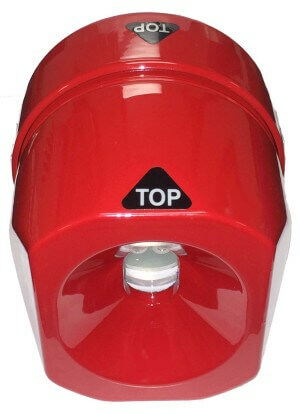 The FT194 test lamp activates Safety Systems Technology Triple Mode UV/IR optical flame detector at distances of up to 5 feet (1.5 meters) from the detector. To operate the test lamp, depress the test lamp switch and aim it directly at the detector under test. The red LED located inside the detector enclosure will illuminate after the detector has received the emitted UV or UV/IR signal. 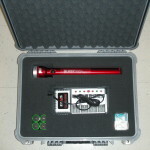 The response of the detector will depend on the distance between the detector and the test lamp. In almost all instances this test lamp is used to verify the detectors optical self-check circuit and to aim the detector towards the source to be protected. While operating this device, shortwave ultraviolet radiation is emitted. Do not look directly into the test lamp lens. Prolonged exposure may damage your eyesight. These test lamps are for use in ordinary industrial locations. Do not change batteries or depress the on/off switch in any location where potentially explosive atmospheres exist. Do not use commercial window cleaners on the test lamp or on the flame detectors, as the residue from these cleaners will prevent transmission of the UV radiation. Q. Will the FT194 work with other UV/IR flame detectors? A. The FT194 is designed to work with SST’s Model F120 UV/IR flame detectors. However, it has been used to confirm operation of other brand of flame detectors. 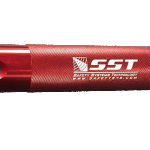 SST does not keep track of what other brands of flame detectors the test lamp will work on. Q. Will the FT194 work with Triple IR or Multi-IR flame detectors? A. No. 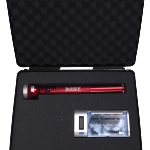 The FT194 is a UV/IR flame detector test equipment. It will not work with Triple IR or Multi-IR flame detectors. 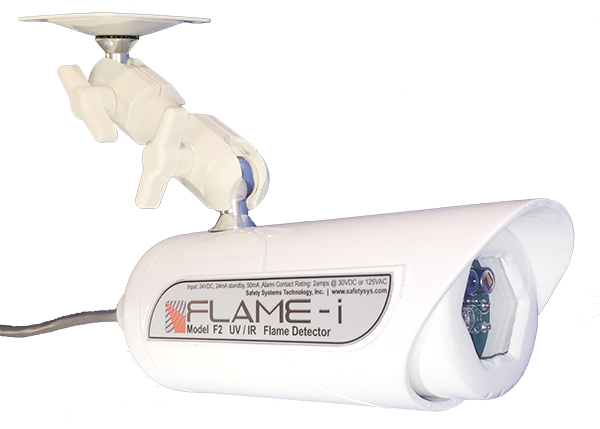 Please consult the manufacturers of these flame detectors to obtain a test equipment that will work with their unit.